Events today already have a technology aspect tied into them with big screens, Wi-Fi connectivity, Bluetooth pop-ups and state-of-the-art sound systems. As technology advances, however, organisers will have more at their fingertips in order to make a big impression and one that will last. 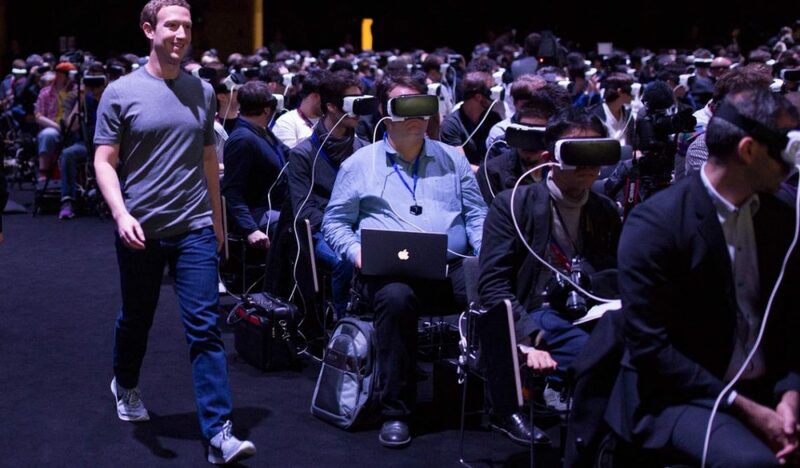 One of the bigger buzzwords this year has been virtual reality, closely followed by augmented reality. Google is partly responsible for this technological uprising with its Glass AR (augmented reality) offering, with a few other firms such as Oculus really pushing the boundaries of VR (virtual reality). A few noises have been made in the direction of virtual reality when it comes to the events of the future, and there is certainly something to be said for it. 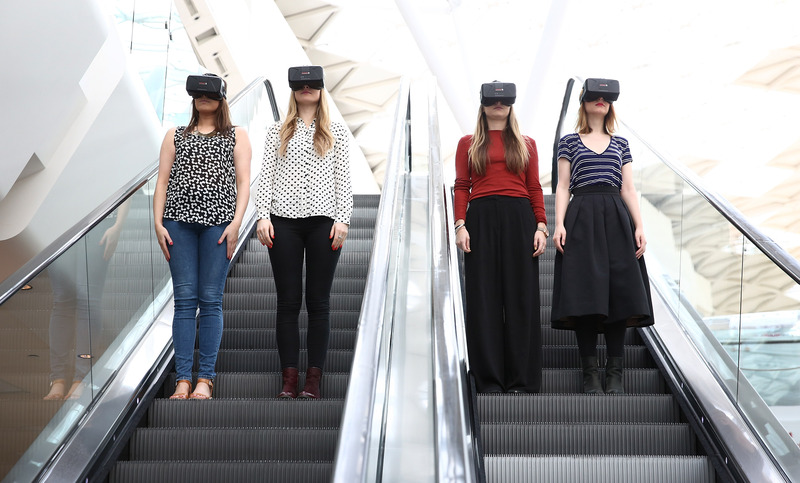 For events that require the attendee to literally do nothing more than turn their heads, virtual reality is a viable option. Can you imagine giving a Ted Talk style presentation from the deck of the Titanic? It really does depend on the kind of event, though, but there is the feeling that virtual reality is limited in terms of events organising and likely to get old pretty quickly. There is the whole manoeuvrability aspect, since the technology requires more than the usual amount of elbow room if people are to move around without falling over each other. Of course, AR removes the problem of navigation but where does it leave room for an immersive experience? Google Glass is a great innovation, but is it really helpful when commands have to be spoken… In a room full of people giving spoken commands? Probably not. Where does that leave technology and future events? Allow us to make a prediction. 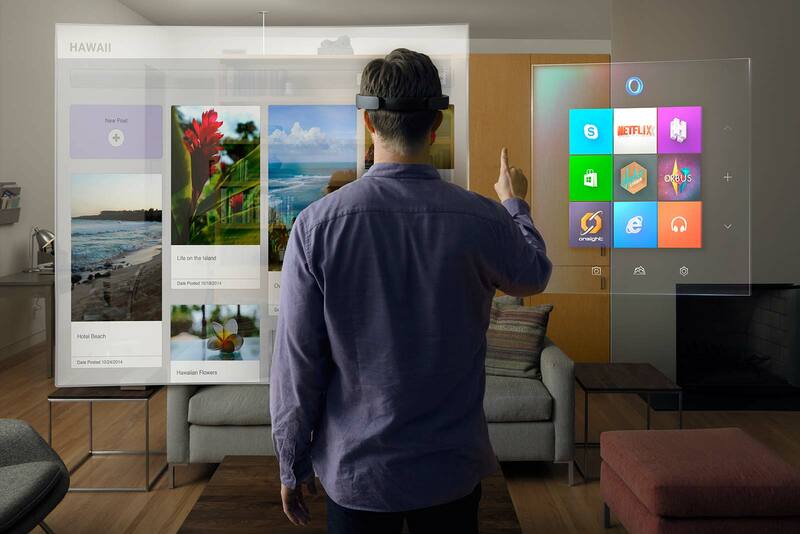 Last year Microsoft announced, somewhat quietly for them, the next generation in augmented reality – almost a full year later, an age in tech terms, and it is still the forerunner. Quite an achievement. The HoloLens marks a huge advancement in holographic / augmented reality technology, and an important innovation for many different industries the world over. As always, this depends on the nature of the event but this approach would fit most event types. If you were showcasing a new product, for instance, instead of simply having images displayed on a screen you could have them appear as holograms right in front of your attendees for them to manipulate at will: rotate, open, zoom in on detail, change the colour and even swap out parts to see the customisation options. Your attendees will be able to actually inspect the items you are talking about, without you having to bring any actual products on the road with you. With HoloLens, you can even have a screen ‘following’ a visitor, relaying information as they move around your event. The prediction? If Microsoft’s HoloLens isn’t a part of the events of the future, then it will be something extremely similar. Remember, you read it here first! For all of your event needs of today, get in touch. We offer table & chair hire, catering equipment, accessories and much more.